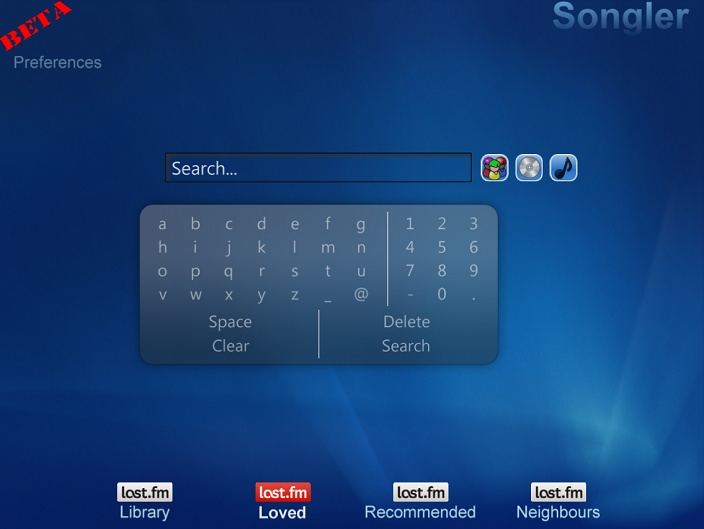 Songler has been updated to allow searching for music in many more ways. First of all, you can now search for Spotify tracks by Artist, Album or Track name (this is only applicable to Spotify, since last.fm can't play individual albums or tracks). Just enter your search and click on one of the icons to search the different categories. Secondly, Songler now integrates with your Windows Media Center music library. Just browse to something you like in Windows Media Center and press the (i) button on your remote, and select the More… option. Then choose Songler, and it will search for that artist for you. Download version 1.2 here for these great new features.